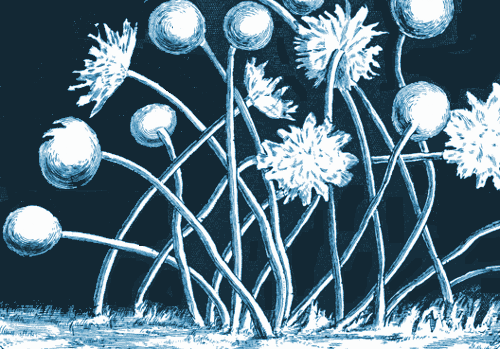 Robert Hooke was a Renaissance Man – a jack of all trades, and a master of many. He wrote one of the most significant scientific books ever written, Micrographia, and made contributions to human knowledge spanning Architecture, Astronomy, Biology, Chemistry, Physics, Surveying & Map Making, and the design and construction of scientific instruments. Robert Hooke was born on the Isle of Wight, England on July 28, 1635. His parents were John Hooke and Cecily Gyles. He was the youngest of their four children. For a large part of his childhood, and whole life, Robert Hooke’s health was delicate. He spent much of his school time at home. As a young boy, he impressed his clergyman father with his fine skills in drawing and his work on instruments such as clocks. His father believed his son was destined to become a clockmaker or an artist. In 1648, Robert Hooke’s father died, leaving him a legacy of 40 pounds – a significant amount of money. The 13-year-old boy traveled to London to be educated at Westminster School, where he learned the classical languages of Greek and Latin, and studied mathematics and mechanics. In 1653, aged 18, he enrolled at the University of Oxford’s Christ Church College, where he studied experimental science and became a chorister. Aged 20, in 1655, Hooke’s career took a further turn towards science. His abilities in working with mechanical instruments had become very refined and he secured work in Oxford as an assistant to one of the founders of modern chemistry, Robert Boyle. Hooke worked with Boyle for seven years. During this time Boyle discovered Boyle’s Law with equipment designed and built largely by Hooke. In 1662, now aged 27, Hooke was appointed as Curator of Experiments for the newly founded Royal Society, whose purpose was to advance scientific understanding of the world. As Curator he was responsible for the experiments conducted by the Society. Clearly Hooke’s time with Boyle had won him admiration in the scientific world. Boyle, who was a founding member of the Royal Society, was thanked by them for releasing Hooke to work for them. Hooke’s position was an important one for such a young man to hold, because The Royal Society, with its motto Nullus In Verba – Take Nobody’s Word For It – was strongly focused on experiments. 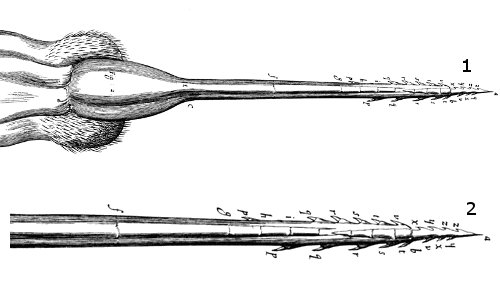 Hooke moved from Oxford to London, where he held the Curator’s position for forty years. In about 1657, Hooke greatly improved the pendulum clock by inventing the anchor escapement. This was a cog which gave a small push to every swing a pendulum took, preventing it running down, while also moving the hands of the clock forward. In about 1660, Hooke invented the balance spring, vital for accurate timekeeping in pocket watches, one of which he made for his own use. A pendulum cannot be used in a pocket watch, so another way of marking the passage of time is needed. Hooke’s balance spring was attached to a balance wheel and produced a regular oscillation; this oscillation allowed time to be kept accurately. Christiaan Huygens invented the balance spring independently of Hooke over a decade later. In 1660 Hooke discovered Hooke’s Law, which states that the tension force in a spring increases in direct proportion to the length it is stretched to. In 1665, when he was aged 30, Hooke published the first ever scientific bestseller: Micrographia. The book was a showcase for Hooke’s particular talents – his understanding of nature and light, his highly developed skills in designing and constructing scientific instruments, and his skills as an artist. Hooke built a compound microscope with a new, screw-operated focusing mechanism he had designed. Previously, people needed to move the specimen to get it in focus. He further improved the microscope with lighting. 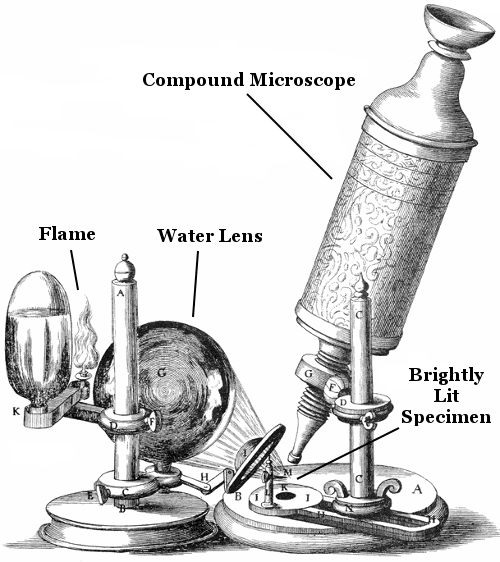 He placed a water-lens beside the microscope to focus light from an oil-lamp on to his specimens to illuminate them brightly. Robert Hooke’s own illustration of his compound microscope, with labels added by this website. Hooke used his microscope to observe the smallest, previously hidden details of the natural world. His book Micrographia revealed and described his discoveries. Some people disputed his diagrams because they refused to believe what they showed. The world Hooke had discovered was too alien for them! 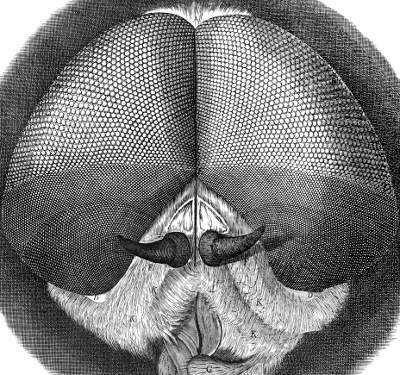 Robert Hooke’s drawing from Micrographia of a dronefly’s head, showing detailed eye-structure. Images like this were too worryingly alien for some people to believe genuine. Micrographia was one of the most important scientific books ever written, because it revealed a new world that people had never imagined could exist. Our knowledge of microbiology, quantum physics, and nanotechnology can all be traced back to Hooke’s Micrographia and the path some scientists were inspired to follow after seeing the micro-world Hooke had drawn. Hooke discovered the first known microorganisms, in the form of microscopic fungi, in 1665. This preceded Antonie van Leeuwenhoek’s discovery of single-celled life by nine years. Hooke looked at the bark of a cork tree and observed its microscopic structure. In doing so, he discovered and named the cell – the building block of life. He thought the objects he had discovered looked like the individual rooms in a monastery, which were known as cells. Hooke did not discover the true biological function of cells. Plant cells, discovered, named and drawn by Robert Hooke. This illustration was first published in Hooke’s book Micrographia, in 1665. Robert Hooke’s illustration of a bee’s sting. Hooke found that bee stings have barbs at the end. 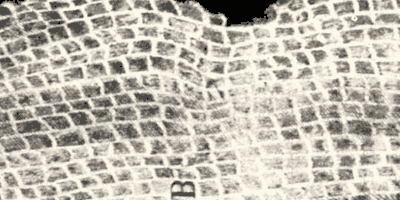 Image 2 is a more detailed illustration of the barbed end of the sting. Hooke used his microscope to study the ancient cells in fossilized wood. He concluded that fossils had once been living creatures whose cells had become mineralized. He also concluded that some species that had once existed must have become extinct. Although this is now accepted by almost everyone his proposal was controversial when he made it. In a lecture in 1670, Hooke correctly said that gravity applied to all celestial bodies and that the force of gravity between bodies decreases with the distance between them. If the force were to be removed, the celestial bodies would move in straight lines. 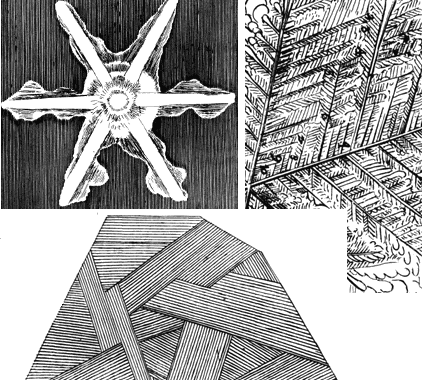 While working as a scientist, Hooke developed a sideline career as an architect. People liked his designs for buildings, and he was appointed to be Surveyor to the City of London. In fact, he made much more money as an architect than as a scientist, because he designed many of the buildings which replaced those destroyed by the Great Fire of London in 1666. In his later years, Hooke became increasingly grumpy, engaging in a number of feuds with other scientists, often about who said what first. Hooke’s most famous feud was with Isaac Newton. Hooke thought Newton had not acknowledged Hooke’s ideas about gravity sufficiently. Although it is believed artists painted portraits of Hooke in his lifetime, none of these paintings now exists. Historians think that, although nobody deliberately set out to destroy paintings of Hooke, nobody made any great effort to preserve them either. The result is that we do not have any likenesses of this great scientist. Robert Hooke died aged 67, on March 3, 1703, in London. He had suffered ill-health for some years, but the precise cause of his death was not recorded. Thanks mainly to his work as an architect, he died a very wealthy man. By the means of Telescopes, there is nothing so far distant but may be represented to our view; and by the help of Microscopes, there is nothing so small as to escape our inquiry; hence there is a new visible World discovered to the understanding. "Robert Hooke." Famous Scientists. famousscientists.org. 15 Oct. 2014. Web.